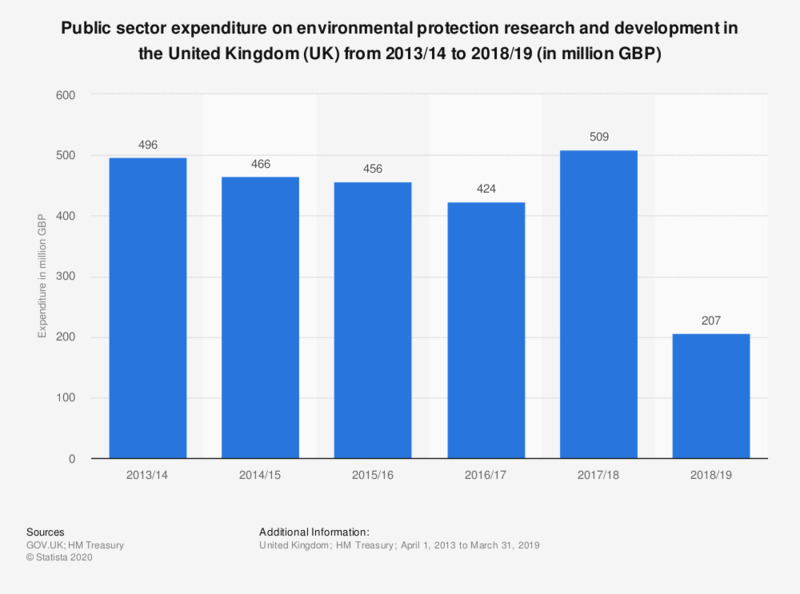 This statistic shows public sector expenditure on environmental protection research and development in the United Kingdom from 2013/2014 to 2017/2018. Over this six year period, expenditure on environmental protection research and development experienced an increase, rising to 509 million British pounds in 2017/18. Do you personally make any effort to protect biodiversity and nature?